Numbers of points for each direction. Then, the total number of points generated is . If not specified, each value is . Distribution of dimension with an independent copula. The number of points for each direction doesn’t change and the generate() method always gives the same sample. 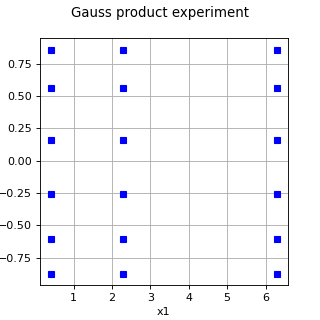 generate() Generate points according to the type of the experiment. generateWithWeights() Generate points and their associated weight according to the type of the experiment. getDistribution() Accessor to the distribution. getMarginalDegrees() Get the marginal degrees. getSize() Accessor to the size of the generated sample. hasUniformWeights() Ask whether the experiment has uniform weights. setDistribution(distribution) Accessor to the distribution. setMarginalDegrees(marginalDegrees) Set the marginal degrees. setSize(size) Accessor to the size of the generated sample. 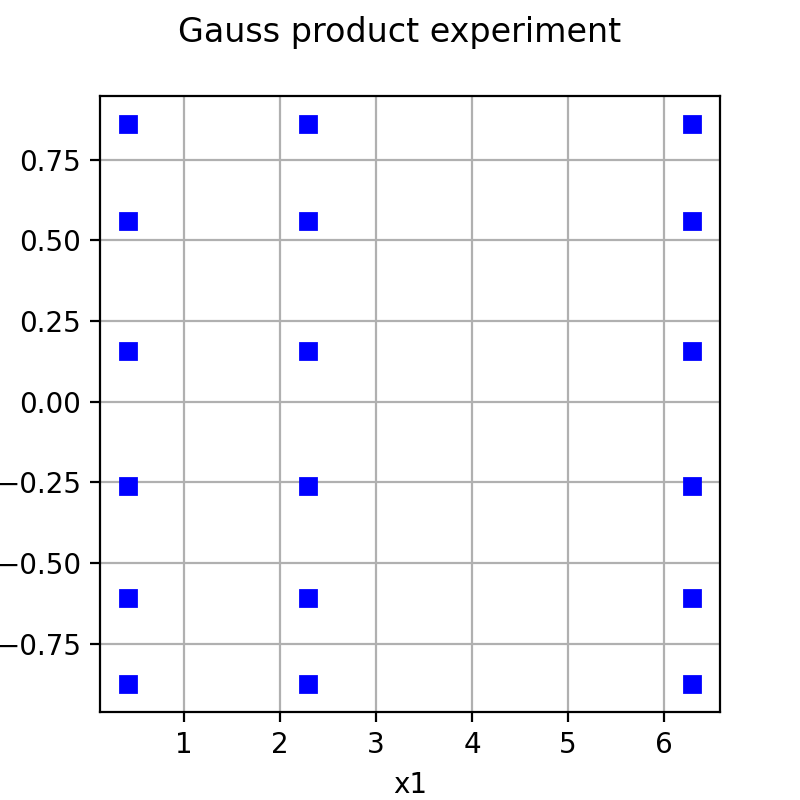 Generate points according to the type of the experiment. Points which constitute the design of experiments with . The sampling method is defined by the nature of the weighted experiment. Generate points and their associated weight according to the type of the experiment. The points which constitute the design of experiments. The sampling method is defined by the nature of the experiment. Weights associated with the points. By default, all the weights are equal to . Distribution used to generate the set of input data. Numbers of points for each direction. Accessor to the size of the generated sample. Number of points constituting the design of experiments. Ask whether the experiment has uniform weights. Whether the experiment has uniform weights.